Here in Summit County we know climate change is real. Our snowfall is more erratic, spring is arriving earlier, and of course the pine bark beetle epidemic decimated our lodgepole pine forest. 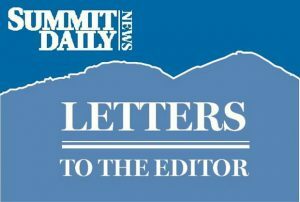 The vast majority of Coloradans recognize these are the effects of climate change; a recent study by the Yale Program on Climate Communication suggests 71 percent of Coloradans believe global warming is happening, and in Summit County that figure is 77 percent. Furthermore, 69 percent of adults in Colorado, and 76 percent in Summit County, believe we should set strict carbon dioxide emissions limits on existing coal-fired power plants. Given the Trump Administration’s efforts to rescind climate policies, I know change must begin on the local level. For this reason, I support Xcel Energy’s efforts to close two coal-fired power plants and replace the coal with cleaner sources of energy. The plan also includes a job transition piece for those directly affected. This win-win proposal would benefit our economy, health, and environment, but in order to move forward, Xcel must first seek approval from the state’s Public Utility Commission. If the stipulation is approved, it will allow stakeholders to explore what the transition to cleaner, more cost-effective energy production could look like, and what it might cost. Currently, only about 20 percent of Colorado’s energy supply comes from renewable sources. Yet, if this plan moves forward Xcel Energy can provide an energy mix for its Colorado customers that would be up to 55 percent renewable by 2026, thus reducing greenhouse gas emissions by 60 percent from 2005 levels. Xcel suggests it can add enough energy from renewable sources to power 600,000 homes, all without raising rates. This can be accomplished, in part through federal tax credits, but we must act now in order to take full advantage of these incentives before they expire in 2020. 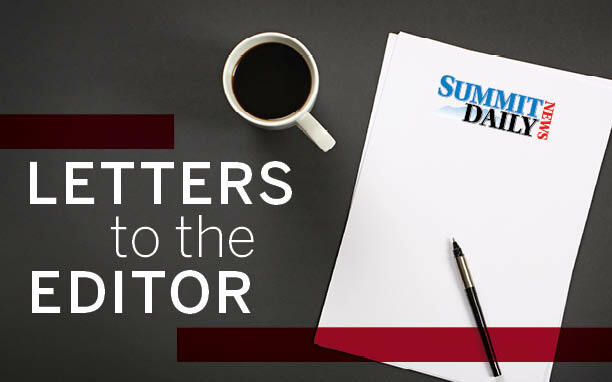 Those of us in Summit County know our economy is directly tied to the health of the planet. The projected impacts of climate change in the next century are daunting and include increased drought, shorter ski season, wildfires, habitat degradation, and species die-off. We’ve seen the pine beetle explode in population due to warmer winters allowing it to take over and kill 1.5 million acres of forest, and parts of our state are already seeing an average temperature increase of 1.5 degrees C. The time to act is now—we simply cannot afford not to. I urge you to join me in asking the state’s Public Utility Commission to approve this effort. I am disappointed at the attitude Summit Stage drivers and passengers take towards eating and drinking on its buses. On Sunday, I rode the bus and sat next to a man who used the bus as his personal cafeteria. It was hardly my first experience with this, but he was spilling his food. Confronting such an insouciant passenger directly probably would have been pointless, so when I departed, I asked the driver to tell him to stop. The driver told me curtly to “have a nice day” — for the record, his comment precluded that — and he made no attempt to fix things. So much for “if you see something, say something”. Every public transit system I know has rules against eating and drinking for good reason and “no food or drink” pictograms are posted on all buses here. It should be an obvious courtesy on a shared vehicle that makes frequent stops and turns. All of us who live here pay sales taxes that keep Summit Stage nominally free and deal with traffic that the Stage helps alleviate. So we should all want a bus system that is pleasant to ride and whose rules are observed and enforced. But for some time it has been ignored and I have had to suffer the effects, from vague food odors to getting spilled on by unapologetic passengers. Enforcement wouldn’t cause significant delays and should save on cleaning costs. And to the people who can’t wait a few minutes to eat or drink, please think about the effects that crunching and slurping noises, crumb-filled seats, sticky floors and smelly buses have on your fellow passengers. I am interested in hearing arguments in favor, especially from the Stage itself who condones it.